04/21/2014 Rhinelander - Fishermen in northern Wisconsin can keep largemouth bass this season. This is the first time in 22 years fishermen won't have to release the fish. 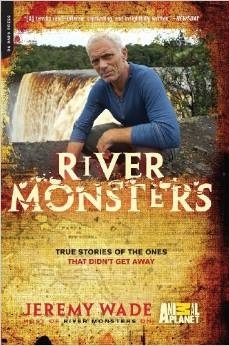 Called “the greatest angling explorer of his generation” (Independent on Sunday), Jeremy Wade takes viewers where no wildlife program has gone before. Now Wade goes truly beneath the surface, disclosing full details of how he catches each species and recounting the off-camera highlights of his extraordinary life.